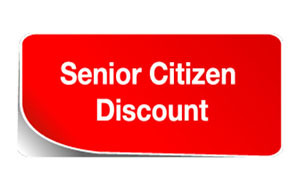 To obtain your discount, please enter the promo code SENIOR2019 when making your reservation. Upon checkout, you will be required to show a valid driver’s license to the cashier to prove eligibility. You must be 65 years of age or older. To obtain your AAA discount, please enter promo code AAA2019 when making your reservation. At checkout, you will be required to show your AAA Card to the cashier to prove that you have a valid AAA membership. 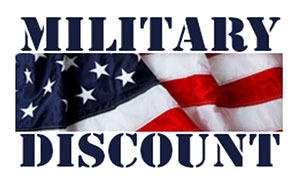 To receive your military discount, please enter MILITARY2019 when making your reservation. Upon check out, you will be required to present your active or veteran military ID to the cashier in order to be eligible for the discount.